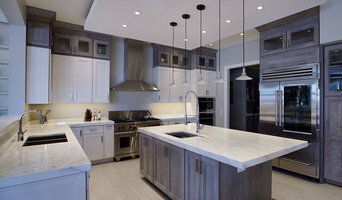 Rendon Remodeling & Design, LLC is a full-service, family-owned and operated professional residential remodeling company. We carry a Class “A” license in the state of Virginia and are fully insured. We have over 30 years of experience working with homeowners in the Northern Virginia area. We provide the highest quality workmanship and offer personalized service to our clients to be sure we are meeting your needs and helping to make your remodeling dreams a reality. Custom Home Elements offers the best remodeling experience at an investment that will leave you smiling. Our commitment to perfection begins with the first consultation, ensues throughout the collaborative design and execution processes, and ends with beyond-satisfactory completion. As a full service Class A general contractor, we take complete responsibility for every phase of your renovation or remodeling project. We think of ourselves as home remodeling artisans who partner with our clients to create beautiful, useful and energizing living spaces. We enjoy the challenge of making the most from existing structures and designing spaces that match your vision and budget. Juliano Design Build began operating in 2012. The owner of JDB comes with over 10 years experience as construction professional and business owner. Expertise in areas ranging from construction operations to design, marketing and sales, recruiting and training staff. At SGS Builders, we have always strived to create a collaborative and unique customer experience. Since 1989, we’ve understood that the greatest work is always accomplished by focusing on even the smallest of details. Our goal is to create the place you absolutely love to call home. Based in Northern Virginia, we are a Full Service Remodeling and Design Firm with over 25 years of experience. We take pride in our ability to provide superior service from the first meeting through the project's meticulous completion. We are members of the Better Business Bureau with an A+ Rating, National Association of Remodeling Industry, and an EPA Certified Lead Safe Remodeler. Don’t wait! Call or message us today to get started creating your dream home! Design-build firms take on the responsibilities of architects, contractors and construction companies, all under one roof. These full-service firms focus on a streamlined design-build process — from the initial design to the estimating phase to physical construction — in the hope of creating an efficient experience for both the client and the company. Because the entire project is happening within one company, Chantilly design-build firms are able to overlap the design and construction phases of the project, which often speeds up the project significantly. In addition, these firms work to minimize risks for the project owner through single-point responsibility contracts. However, depending on the firm, you may still want to contact an interior designer or architect to help create the exact look you want. Here are some related professionals and vendors to complement the work of design-build firms: Interior Designers & Decorators, Landscape Architects & Landscape Designers, Architects & Building Designers, Photographers. Before deciding on a residential design-and-build company in Chantilly, VA, think about what you want from your new home. Do you want a large kitchen for entertaining? Do you need several bedrooms for children and guests? Do you want a finished basement for extra space or storage? 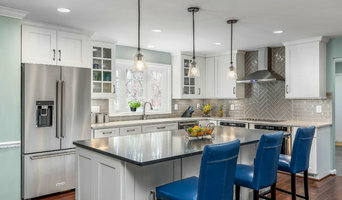 Look for Chantilly design-builders that specialize in the areas you're looking for. Budget is obviously a determining factor in the outcome of your project. To make sure you stay within your means, consider making a must-have list and a wish list. Gauge where the estimates are falling to determine which design-build contract can realistically strike the balance between the two. Find a Chantilly design-build company on Houzz. 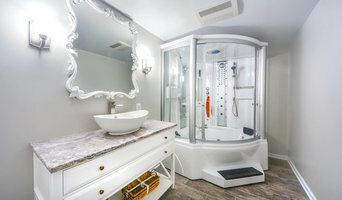 Narrow your search in the Professionals section of the website to design-build firms in Chantilly, VA. You may also look through Chantilly, VA photos to find a pool you like, then contact the design-build firm that created it.